Monad's sign. The axial CT scan of the chest, on the left, shows a nodule (black arrow) within an air-filled cavity with a crescent of air at the superior surface of the cavity (white arrow). 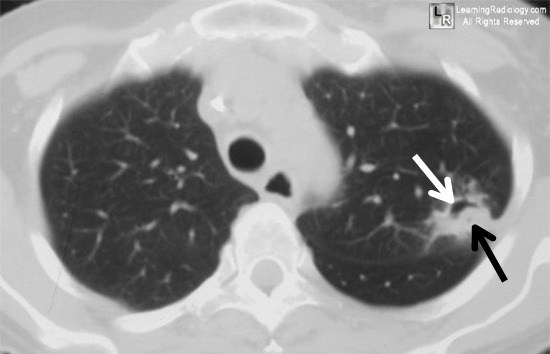 In the close-up view of the left upper lobe from a chest radiograph of another person, on the right, there is again seen a thin-walled cavity (white arrow) containing a soft-tissue mass (black arrow). 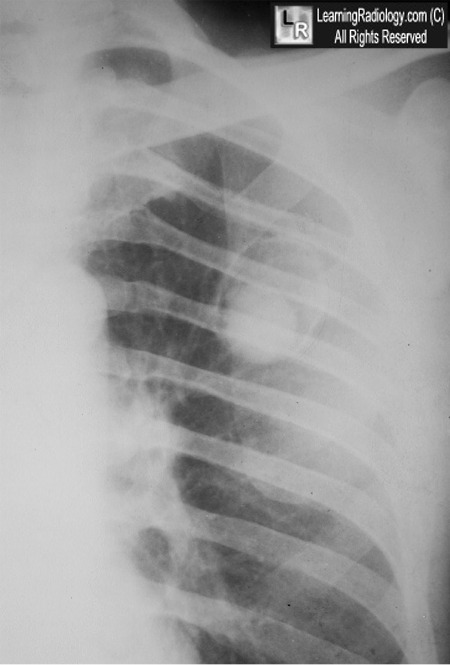 Both of these cavities were from old tuberculosis.